Only if the eggs are well cooked, and only if in butter and you make it more of a regular thing. Introducing any food, just once in a while can cause stomach problems. Uncooked eggs can cause problems as the whites have a chemical that dogs don't do well with, and the yolks can carry e-coli and salmonella bacteria. As with all things if you are going to give your dog people food make sure it is of the best quality, (organic and natural is best) and if eggs or ground meat, fully cooked. 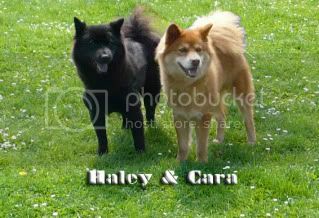 The chow I had that lived to almost 15 ate only home cooked food, (he had so many allergies that comercial food didn't agree with him). veggies, beef and/or turkey, eggs, cottage cheese, yogurt, rice and barley, that's what he ate and without that diet he was always at the vet, with it, no problems. 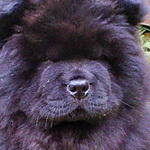 I give my chows twice a week. They are high in protien and my dogs love them. I even crack up the egg shells and they eat them as well, they are high in calcium. IMO eggs are a natural food for dogs. Bramble thinks so anyway. She found a nest on the ground in deep grass last spring and had eaten all the eggs before I even knew what she had found. I wouldn't have let her eat them had I known as I didn't even know if it was a rare species, she on the other hand wasn't bothered by such human worries and was none the worse for it. We give our Kringle Bear eggs every now and then. He loves them. We make sure they are cooked (mainly scrambled). No tummy upsets. He just has to smell the butter hitting the pan and it's on! mine have scrambled eggs once a week and there fine. I used to give Milly and Mabel scrambled eggs about once a week and they loved them. I haven't given Maisie and Matilda any yet. I will do when they are just a little older. At the moment they are still eating their puppy tinned meat and their puppy complete dry biscuit food which they love. I gave Tess soft boiled eggs... She loved them. I once took penelope to the vet with some pooping problems, after a round of normal tests he said it could just be an upset stomach and to feed her white rice and scrambled eggs. He told me it settles their stomach? If my vet rec'd it it can't be that bad, right? Last edited by chowpups on Wed Oct 20, 2010 6:58 am, edited 1 time in total. We love eggs! Mine are on Honest Kitchen and boiled chicken breast right now because of Cara's sensitive stomach. She can no longer eat processed foods so I I give them cooked egg yolk once a week or so. She's thriving on the new diet.